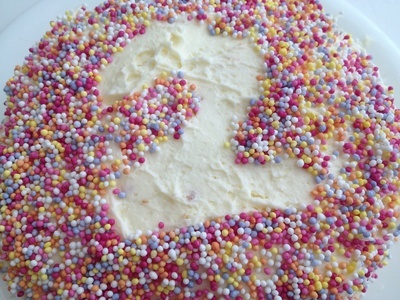 You don't need any skill and only a little time to customise a birthday cake with sprinkles. You'll have to forgive me for sharing something so basic but it's a great one to have up your sleeve. 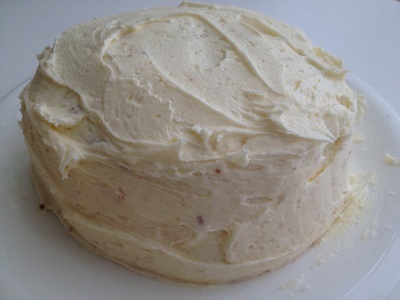 Smother a cake in butter cream icing. Cut out a number from a piece of paper (the age if the child). 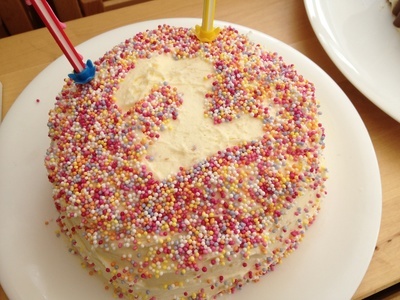 Lay the number on the cake. 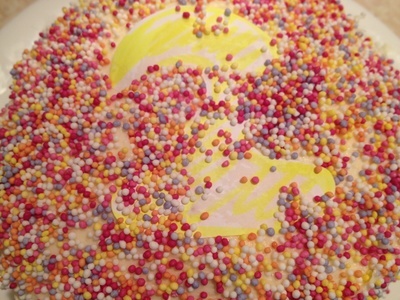 Liberally cover with sprinkles which is also a good step to include kids. 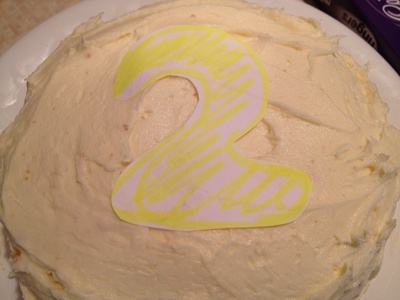 Peel off the number template.